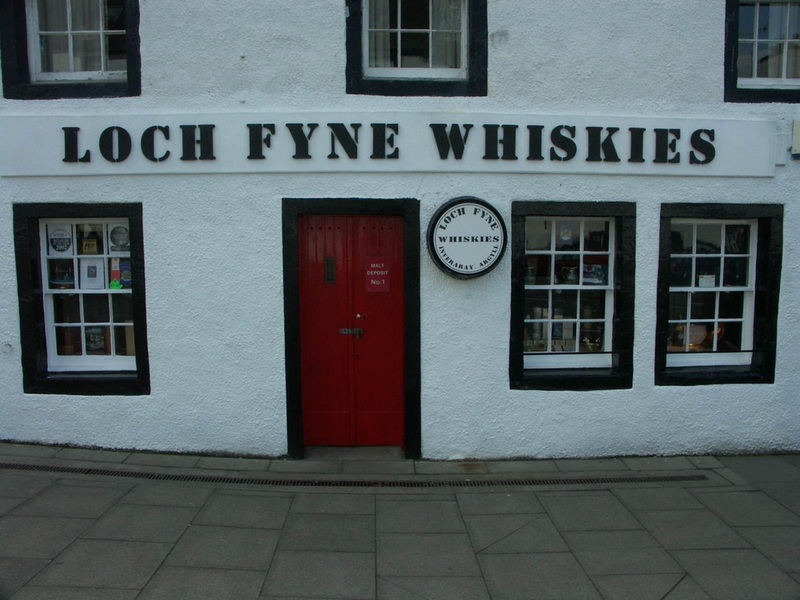 Formerly indepenently owned, but sold to The Whisky Shop chain in 2013. I have not been there since the change in ownership - they have a separate website to the Whisky Shop and some prices are different. 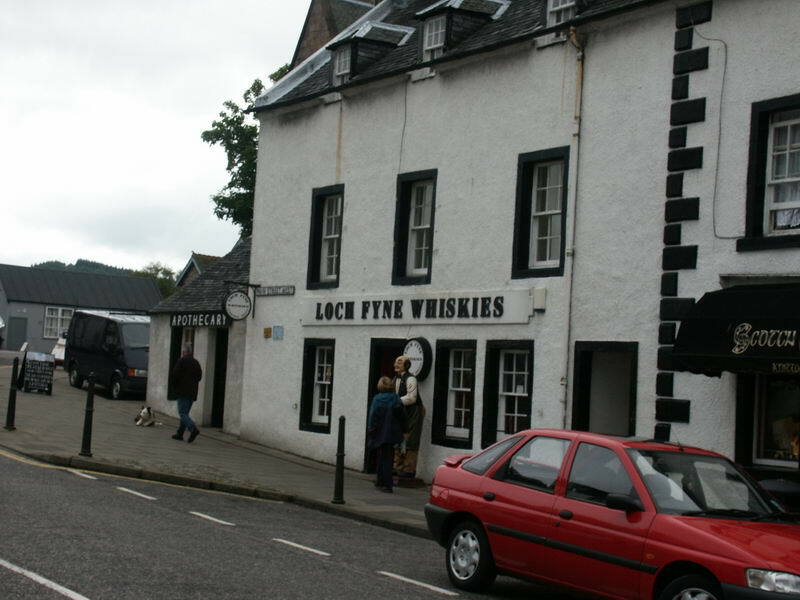 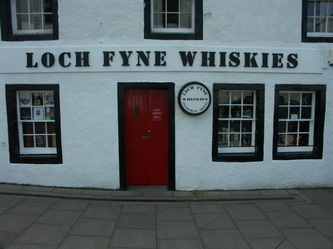 Probably my favourite Whisky Shop - though its remote location doesn't make it very cycle friendly! The location is in the historic town of Inveraray - the town was moved to it's current location in the late 18th century by the Duke of Argyll who didn't want the old town to spoil the environment of his nice new castle. 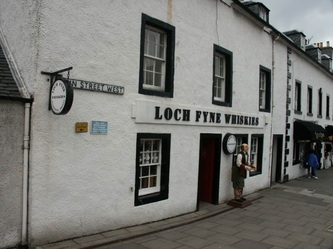 Loch Fyne Whiskies is situated at the top of the main street opposite the George Hotel (which itself has a good range of Whiskies). 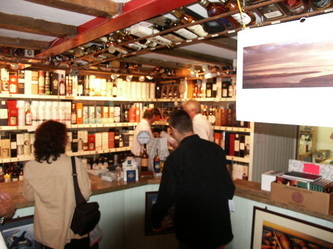 The walls and ceiling of the small shop are lined with a massive range of Whisky - and you're unlikely to beat their prices. 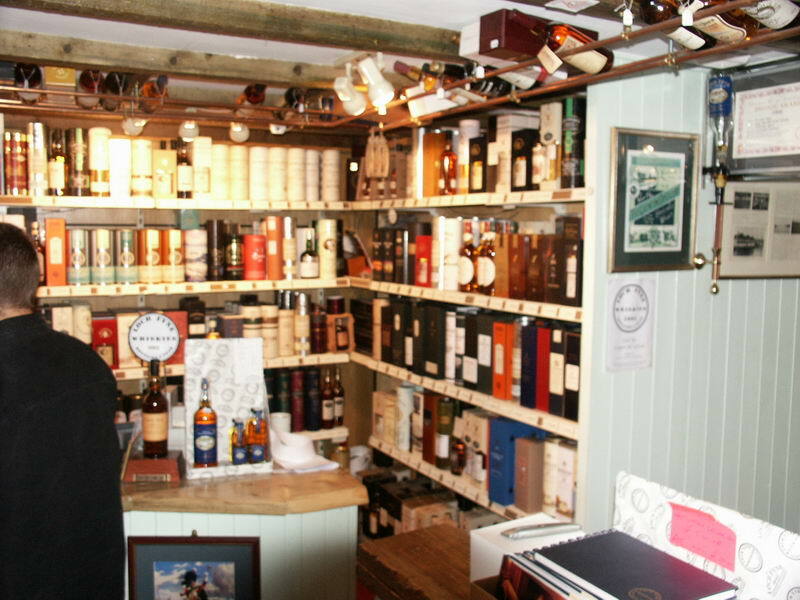 Outside the shop Hamish (left) stands in all weathers to welcome you to the shop. Inside you'll get a welcome from Richard Joynson and his staff, equally adept at guiding the Whisky novice to an appropriate purchase, as to helping the more discerning connoisseur.